Exfoliating is a great skin boost and peels are a very effective way of doing this. They can be gentle or they can be extremely intense with down time required. I’ve always loved a good peel! I started with gentle glycolic peels when they first came out and then progressed to ones done in Dr Hunters’ office which leave you with peeling and flaking skin for about a week, after which your skin is positively new born. It’s not often I can afford a week of peeling skin however, so I switched to using Dr Hunters’ Peel which is designed to be used at home. It’s still quite strong and leaves your skin clear and glowing with regular use. If, however, my skin is feeling sensitive or dry and flaky, I prefer to use something more gentle. There are loads of peels and masks on the market, but I always go for the ones without chemicals. Two favourites are Evenly Radiant Overnight Peel by derma e for fabulous smooth skin or Enzym Lifting Mask by the pricy but absolutely remarkable range Julisis. If my skin really needs nourishing rather than exfoliating I use Weleda Wild Rose Mask. Here Dr Hunter explains why she has taken great pains to develop peels that are chemically correct and why she urges us to be cautious about dumping a load of toxins on our face whilst in pursuit of a good peel. Which Peels work the BEST, are the HEALTHIEST and MOST NON-toxic on the market today? Get the facts… don’t be fooled by marketing hype, as it may prove to do more harm than good! 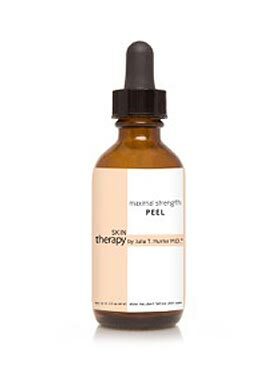 Peels are an essential part of your skin regimen, as due to their greater strength, they help your skin to become more visibly firm, lifted, clarified, robust, MORE youthful, less sensitive, irritated and challenged with conditions, and help shield against noticeable signs of aging and damage, more so than even maximal therapy daily skin products. Just as you increase your exercise intermittently to get the body into better shape, you increase your skin therapy and results by adding Peels intermittently. In addition, Peels will not only help laser results, but may alleviate the need for laser treatments completely. Ask about the ingredients! Unfortunately many Peels on the market have toxic ingredients, which can inflame, age and thin the skin more than daily life does – causing more harmful aging effects, rather than more youthful, beautiful, volumized, lifted and firmer skin. Aging is thinning of all tissues, bones, gums, teeth, muscles and skin, and slowing of organ functioning, and inflammation, is a major cause of disease. You do NOT want to spend your time and money on what ages you faster than life does. 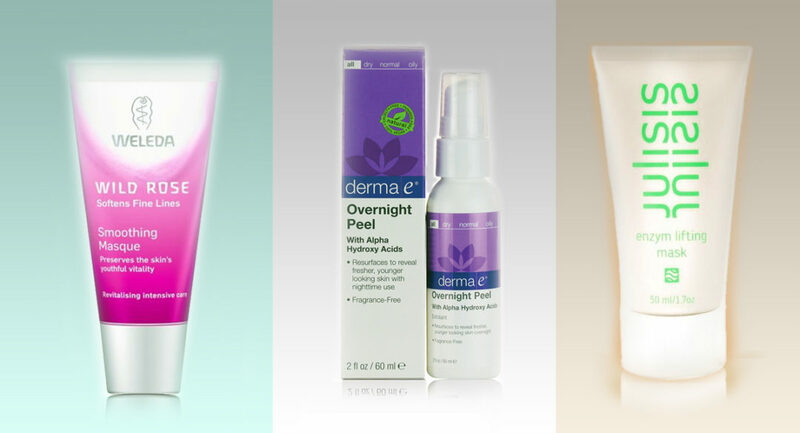 Many glycolic peels and all those with their inflammatory chemicals and well-known downsides, may seem to help in the short term due to the swelling/edema of the skin for a rather extended period of time, which occurs as a result of using ingredients that negatively inflame the skin, add to the skin and body’s toxic burden and result in thinning the skin, (which defeats the purpose of the Peel). This often causes more harm than good, and therefore are (at best) a considerable waste of time and money. Chirally-correct Retinol and Acid Peels. Chirality is the solution – I only use my own chirally-correct Peel formulations, as they penetrate MORE deeply vs. the other professional peels traditionally used, and the more deeply the skin is treated, the more the skin is restored, rejuvenated, lifted, tightened, thickened, made to help function youthfully, cleared, protected, clarified and of course, more beautiful. They provide synergistic exfoliation, enhance and help in healing, collagen formation and blood flow to help optimize all the skin’s nutrient supply, toxin/waste removal, maximal anti-wrinkle, pigmentation, scarring, stretch marks and blemishes. AND because of their chirality, meaning chemically correct ingredients, there is little to no downtime, providing MAXIMAL results through scientifically proven, physiologically optimizing ingredients, which help to nourish, and support the skin’s cellular structures, help stimulate cell renewal and preserve, sustain and revitalize skin health. Clinical studies and research have concluded the primary importance of chirality is to provide maximal amounts of essential ingredients that are missing, necessary and recognized by cell receptors to initiate, expedite and assure maximal visible, perceptible, progressive results. The body’s cell structures will correctly recognize and respond in an anti-aging, healthy way to these chirally-correct ingredients, allowing them to penetrate and adhere deeply into the epidermis, dermis and all cells. Please remember… therapeutic, high-dose peels have to be correctly administered by a Skin Care Professional to achieve MAXIMAL results. In order to maximize the longevity of results, it is necessary to continue with daily in-home therapy to help provide the skin with the necessary nourishment to correctly and visibly benefit in long-term skin health.